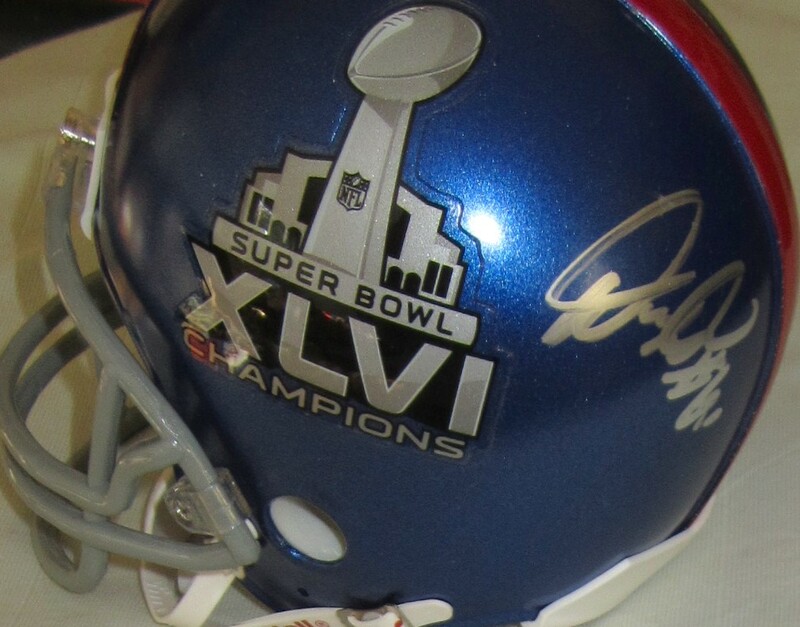 New York Giants Super Bowl 46 Champions commemorative mini helmet autographed in silver paint on opposite sides by 2011 New York Giants superstars Brandon Jacobs and David Diehl, obviously two key members of the winning team. 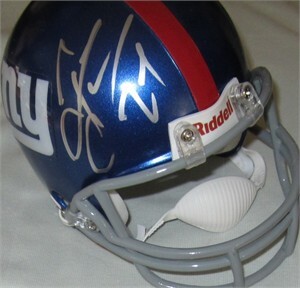 Obtained in person at the team hotel in San Diego. With certificate of authenticity from AutographsForSale.com. ONLY ONE AVAILABLE FOR SALE.